Thanks you all for being so patient with me. I have had a very busy weekend! 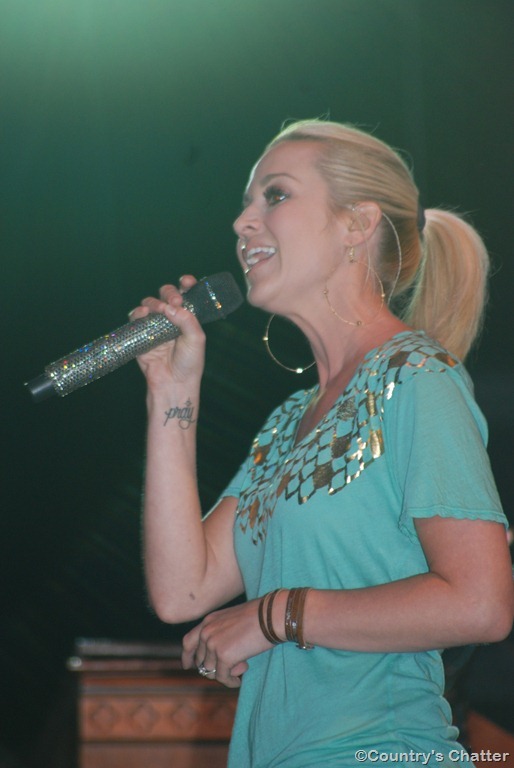 But now it’s time to share more about Kellie Pickler’s show in Kingsport, Tenn., with all of you. The evening did not get off to a great start. 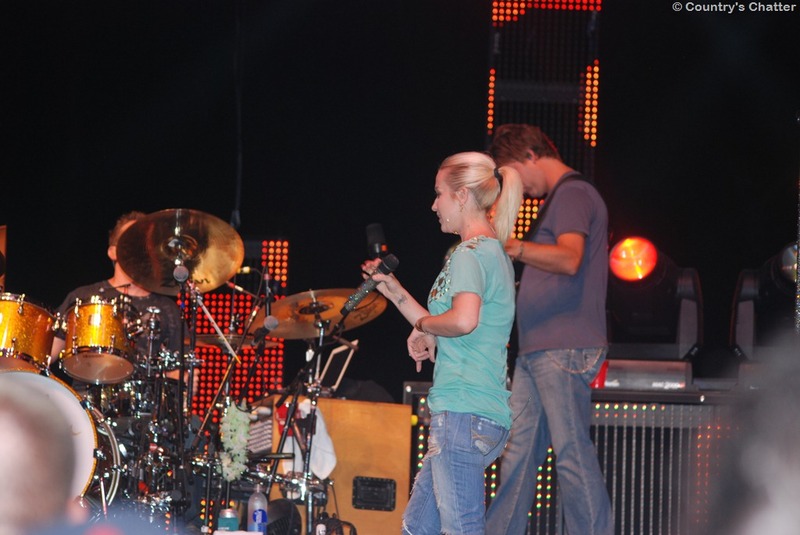 Thunder and dangerous lightning caused an evacuation of the stadium shortly after Kellie’s first opening act started to sing. (More on those opening acts in another post soon). But, after a delay of nearly two hours, we got to go back into the stadium. The rain actually made things better – dropping the mid 90 degree temperatures down somewhere near 80. A little breeze, an anxious crowd, and it was show time! 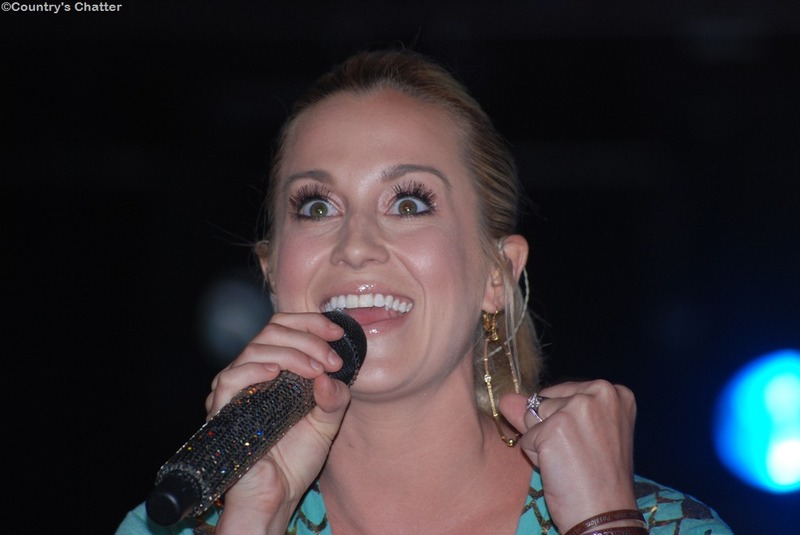 Even if you aren’t a big country music fan, you can’t help but like Kellie Pickler. When she talks to her audience, it’s as if she were sitting across the kitchen table talking to you. She’s very much the same girl she was back in Albermarlen. N.C. I’m not sure Kellie even knows she’s famous. She’s as natural, warm and as friendly as the kid next door. Knowing how much I enjoyed Kellie’s show three years ago, I was anxious to see her again. I knew I would enjoy it just as much now as I did back then. I was wrong — I didn’t like it as much as I did the first time I saw her — I liked it a whole lot more! Her show in Kingsport was even better than the last time I saw her. And she’s still that fun-loving, sweet young lady she was when we all fell in love with her on American Idol. Great show, full of Kellie’s best songs, and some of Dolly Parton’s too – enjoyed hearing Kellie do her new single, “Tough,” too. In fact, there is nothing about this show wasn’t great to watch, great to listen to, and easy to write about. Here are a few more pictures from the Friday night show at Fun fest in Kingsport, Tenn.
That’s all for today. It’s Monday, back to work I go1 Talk to you all very soon. Didn’t get to Fun Fest on Saturday to see Trace Adkins? Here’s what you missed.